And so, here we are at the start of yet another week and, like we seem to do most Mondays, we bring you news of another new review. 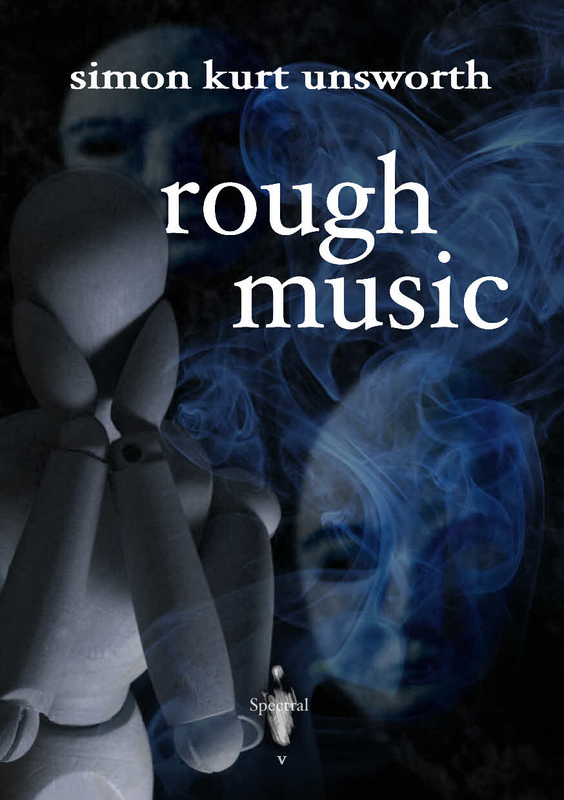 Following promptly on the heels of their review of Paul Finch’s King Death, Dreadful Tales posted a write-up on Volume V in the chapbook series, Simon Kurt Unsworth’s Rough Music. Again written by Colum McKnight, it’s yet another perceptive and in-depth review. It can be found here. We are currently drawing up a list of prospective purchasers of the second novella in the Spectral Visions line, so if any of you out there are interested in securing a copy then please let us know either by leaving a comment here or contacting us via spectralpress[AT]gmail[DOT]com. We’ll be looking to put the limited signed hardback edition of the book on pre-order around June/July time (publication is due in September) and it’s most likely to retail for between £15 and £16, and the cover will either be cloth boards with foil blocking and dustjacket OR full-colour cover boards, plus there’ll be coloured endpapers and a silk ribbon bookmarker. There will also be a paperback to follow shortly after that. Details of the book can be found here.